Toronto House Prices Jump Again; How Long Can This Last? The experts keep saying a real estate juggernaut like Toronto’s can’t go on forever, but if numbers from Toronto’s real estate board are to be believed, this beast just won’t die. House prices in Toronto have jumped 8.4 per cent on average since the start of the year, the Toronto Real Estate Board says in its latest report. Sales for the year so far are up 6.6 per cent compared to 2013. The average price of residential real estate in the Toronto area hit $577,936 in October, but single-family homes saw larger increases than other types of property. 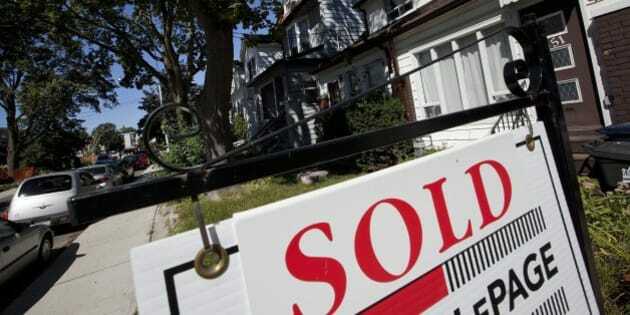 Single family homes in the suburban 905 region saw even stronger price growth, up 10.6 per cent to $672,825. Those prices are running well above inflation (2.4 per cent as of last count) and income growth (3.3 per cent, according to StatsCan). Prices in the condo segment are growing at a more subdued pace, up 4.3 per cent, while sales volumes jumped 10.3 per cent. The steep price and sales increases fly in the face of some analysts’ predictions that the heated Toronto market is headed for a slowdown, or even a correction. But while demand for housing is holding up, evidence is growing that developers are pulling back after years of heated construction activity. In a note in October, BMO noted that housing starts in Toronto have fallen to an annual pace of 16,500, from a peak of 40,000 two years ago. That suggests developers see less housing market activity going forward. Most of Canada’s local housing markets have been largely flat for the past year or two, and the house price gains seen in national numbers are the result of three hot housing markets where sales and prices are still pushing upwards — Toronto, Vancouver and Calgary. Low interest rates have kept these markets buoyant, but economists warn those low interest rates can’t last forever. CIBC warned in a report this week that Canada could see bankruptcies rise when interest rates start pushing upwards. Ordinarily interest rates rise when the economy improves, which means fewer bankruptcies. But because of Canadian consumers’ massive debt loads, an interest rate hike could lead to an increase in personal bankruptcies, CIBC warned. Economists forecast that the U.S. Federal Reserve will start raising rates in the first half of next year, with the Bank of Canada following suit later in 2015.